PezCycling News - What's Cool In Road Cycling : EUROTRASH Tom Thursday! Tom Dumoulin hammered round Burgos and took back the overall lead in the Vuelta a España on Wednesday. We have all the results, rider quotes and video from Spain and the Tour of Britain, plus a report from the Tour of Alberta. More contract news, Giro '16 time trial in Chianti, medical up-date on Kris Boeckmans and some Vuelta music. TOP STORY: Two Grand Tours in One Season? 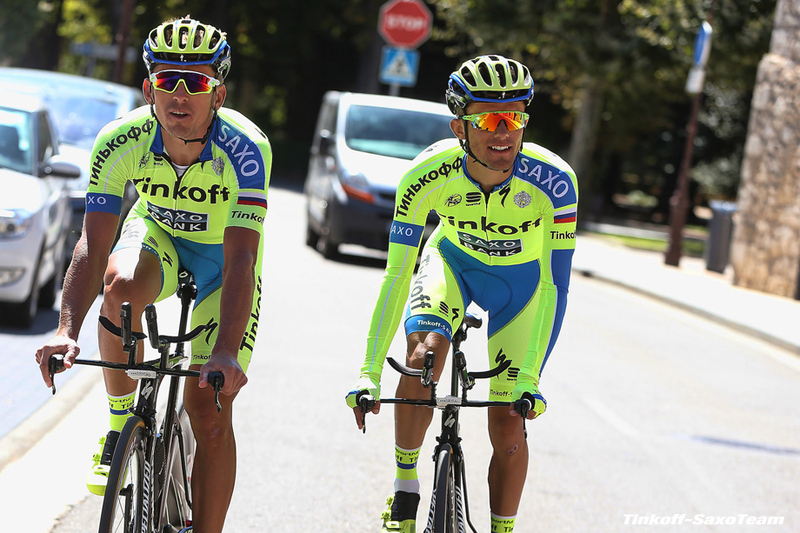 Last winter Oleg Tinkoff was encouraging riders to go for the 'Triple' - Giro/Tour/Vuelta. Alberto Contador said he would attempt the Giro/Tour 'Double' and that didn't go so well and now as we look at the overall standings in the Vuelta we see that Tour de France finishers are probably not the ones who will win the Vuelta a España. It's possible that Joaquim Rodriguez could make a big come back and win in Spain, but he did finish over an hour and a half down on Chris Froome at the Tour. If things stay as they are, the Movistar pair have come close, Quintana 2nd and 5th and Valverde 3rd and 6th. So it looks like the 'Double' is a feat from the past and the 'Triple' an impossibility. Tom Dumoulin: A multi Grand Tour winner or a Wiggins Mark II? Joaquim Rodriguez (Katusha) snatched the overall leader’s red jersey at the Vuelta when he distanced his main rivals in the finalé of a punishing Stage 16 won by Frank Schleck (Trek). Schleck was the strongest of an early breakaway group, finishing 1:10 ahead of Rodolfo Torres (Colombia) after 185 km to claim his biggest win since the 2011 Criterium International. ‘Purito’ Rodriguez accelerated with one kilometer to go in the final ascent of the Alto Ermita de Alba (6.8 km at 11.1%) to beat Fabio Aru (Astana) by two seconds, taking the overall lead by one second one. Rafal Majka (Tinkoff-Saxo) is now third overall, 1:35 off the pace. Tom Dumoulin cracked with only 900 meters left and lost 27 seconds to Rodriguez. Sitting in fourth place overall 1:51 behind Purito, the Giant-Alpecin rider very much stayed in contention for the title going into Wednesday’s time trial after the rest day in Burgos. Verona (Etixx - Quick-Step), Rolland (Europcar), Schleck (Trek), Torres (Colombia) and Fraile (Caja Rural-Seguros RGA), looking to strengthen his lead in the mountains classification, jumped away from the gun. They were joined by Bennett (LottoNL-Jumbo), Lemoine (Cofidis), Warbasse (IAM Cycling), Moser (Cannondale-Garmin) and Grmay (Lampre-Merida) to form the day’s 10-man breakaway. After the second climb of the day, the Alto de Piedratecha, the group was sitting on a comfortable 16:40 lead over the peloton. Katusha moved to the front of the pack to control the gap, which had risen to 22 minutes at the foot of the Alto de Cabrunana. They reduced it to 19 minutes and although they stayed at the front, they gave up the chase with 60 kilometers left. In the breakaway, Schleck called for the medical car and Fraile made sure he would wear the blue on white polka dot jersey after reaching the top of the first five climbs in first position. Tinkoff-Saxo took matters into their own hands before the ascent to the Alto del Cordal and the breakaway’s advantage melted down to 11:30 and Astana took their turn at the front of the pack. On the descent from the Alto del Cordal, Duque (Colombia) and Chavanel (IAM Cycling) crashed on a left-hand curve. The Colombian was quickly back on his bike while the Frenchman, who apparently hit a safety barrier, sat in obvious pain by the side of the road for a moment before also remounting his bike. On the climb to the Alto de la Cobertoria (9.8km at 8.7%), Fraile, Rolland, Grmay, Lemoine and Moser were quickly dropped as Schleck upped the pace. Warbasse also slipped back shortly afterwards as well as Verona and Bennett, leaving Schleck and Torres on their own with an 11-minute lead at the top. Meanwhile the red jersey group was trimmed down to 18 riders at the base of the final ascent. Schleck attacked 3km from the top and never looked back. Pozzovivo (AG2r-La Mondiale) and Chaves (Orica-GreenEDGE) lost contact with the favorites midway through the ascent while Dumoulin fought hard to stay on Aru’s wheel. Purito’s late acceleration was too much too handle for the Dutchman, who once again limited the losses. 9th on the stage and overall leader, Joaquim Rodriguez (Katusha): “I resisted until the final km without having a lot of energy and with what I had left I tried to find my moment of glory. The time trial will be very complicated, we saw that Dumoulin was very well. Surely after the rest day he will be fresher and he will be super focused to ride a great TT. Maybe he is the favorite to win this Vuelta. I have to ride a great TT to be on the podium and I hope it will happen. For me to win the Vuelta, he would need to fail and I would need to be a fantastic day. 10. Fabio Aru (Ita) Astana at 8:53. 10. Louis Meintjes (RSA) MTN-Qhubeka at 5:22. You can read Lee Rodger's 'Rest Day Lowdown' HERE. Tom Dumoulin (Giant-Alpecin) edged closer to a Grand Tour title when he smashed the opposition in Stage 17, a 38.7km time trial that was fatal to home favorite Joaquim Rodriguez (Katusha). Dumoulin, who limited his losses in the brutal mountain stages, lived up to expectations in the solo effort against the clock, covering the course in and around Burgos in 46 minutes 1 seconds to claim the overall lead. He leads Fabio Aru (Astana) by only three seconds after the Italian rider took 10th place. Rodriguez, who started the day with the red jersey 1:51 ahead of Dumoulin, finished a distant 30th, 3:06 off the pace. He now sits in third place overall 1:15 behind Dumoulin, who beat Maciej Bodnar (Tinkoff-Saxo) by 1:04 and Alejandro Valverde (Movistar) by 1:08. Bodnar, one of the early starters, set the first time of reference when he clocked 47:05 after a headwind picked up. He was only to be beaten by Dumoulin. Cheered on by the crowd, Purito had already lost over a minute to the Dutchman at the first time split (13.5km), losing all hope early on while Aru rode himself into the ground but failed to get the red jersey back by three seconds. Valverde produced a fine performance, finishing only four second adrift of Bodnar to move up to sixth overall behind his team mate Nairo Quintana. Rafal Majka (Tinkoff-Saxo) dropped to fourth overall after finishing in 17th place on the day. Dumoulin will be on his toes in tomorrow’s 18th stage, a 204-km ride from Roa to Riaza featuring a category-one climb 13 kilometres from the finish. 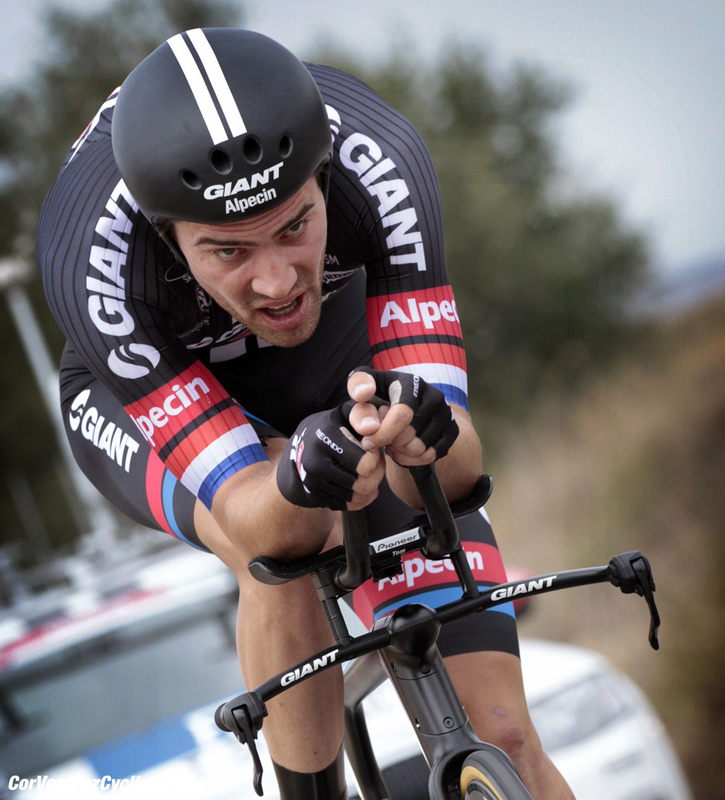 Stage winner and overall leader, Tom Dumoulin (Giant-Alpecin): “I felt good. I had a good feeling. I was very focused I had some really good legs and mentally I was in a good place, it made a difference really today. I did not know what to expect exactly before the time trial. I was not thinking about expectations, I did not have strong expectations in terms of winning the stage or in terms of time gaps. I won it and at the finish line I had no indications until I learnt that Aru was three seconds behind in GC. That’s very close, it’s going to be a hell of a fight. For the spectators it will be quite a show but for me it is going to be something different. They will try to get me out of this jersey and they’re probably going to try to surprise me. We will have to be ready as a team. But first we have to celebrate this and then make a good plan for the coming days. I’ve been feeling better and better in the last days. I had some problems after the Andorra stage but not much happened in GC and I felt that the peloton was tired anyway. Of course other riders would like to get onto the podium, I would imagine Majka will attack to end up on the podium and that Purito will not be happy about it. That should play in my favor. But I have to keep a close eye on Aru because three seconds is nothing. It pretty much came up by surprise (that I could be good in a three week race), but I had done two grand tours already and I had been feeling quite good in the third week. It shows I can handle some difficult days but I never thought I would recover so well while fighting for GC everyday. Giant-Alpecin DS, Christian Guiberteau (Giant-Alpecin): "At 11 am the crowd was already surrounding him, we had to protect him. It was also a new mental challenge for him and he passed it. He managed to stay in his bubble. We confirmed with a very good TT. Some said he’d gain 2-3 minutes, on paper, but in the third week of a grand tour there is a lot of fatigue and Aru is quite a rider, he fought very well. The Vuelta is far from over." 3rd on the stage and 6th overall, Alejandro Valverde (Movistar): "The truth is that I’m happy. This morning I had good sensations and I told myself I would go full gas and see where I’d end up. I have been fighting since the start. The podium is still undecided. Clearly our rivals are strong. 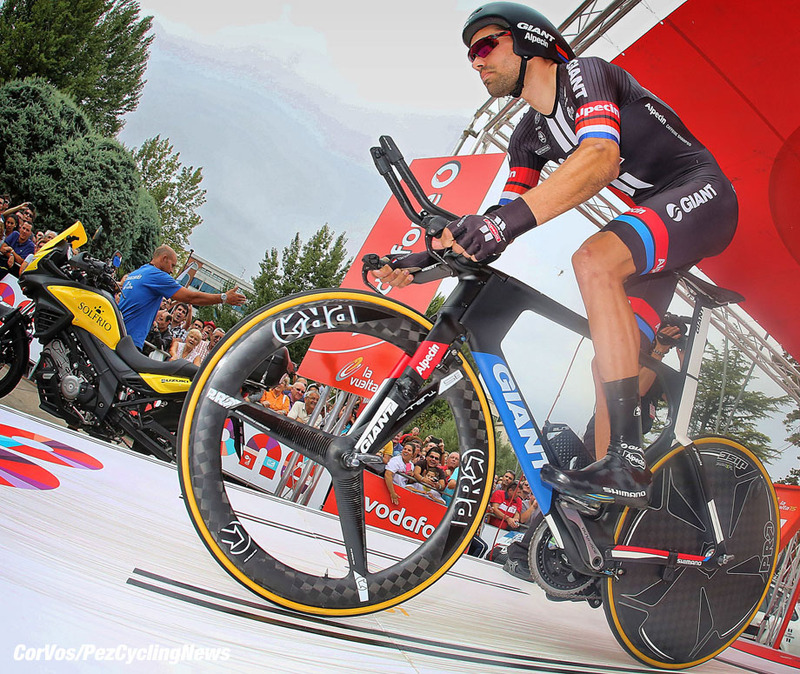 We expected Dumoulin to clock a very good time." 5th, Jerome Coppel (IAM Cycling): "The sensations were good. The first suited me well, the second part a bit less because it was less hard. All in all it was a good performance ahead of the world championships. It was a good rehearsal, especially since I had not done a proper time trial since the French championships." 7th on the stage, Romain Sicard (Europcar): "I did my best. I have been improving in the discipline and I wanted to do well today. I think I did. It’s a time trial that is very physical on the first part and technical on the second. I was very disappointed after the mountain stages and I wanted to get back on track in the third week." 8th on the stage, Nelson Oliveira (Lampre-Merida): "I expected a better result but I feel tired and it is a key factor. My Legs need some rest. The TT is very difficult. The sensations are not bad but it was a tough time trial. Rain was not forecast but it actually rained a little." 4th overall, Rafal Majka (Tinkoff-Saxo): "I did my best, it’s not easy on the flat. I tried everything. Everybody is tired, I did everything to get the best result but it’s hard against the specialists like Dumoulin." 9th on the stage, Stephen Cummings (MTN-Qhubeka): "I liked the course a lot. It was a beautiful course through a nice city. It wasn't all that technical, just the last bit with the climb and descent was a little technical. It was just a power course really but it was kind of hard to judge because it was uphill to start and then headwind, so no real rest. You had to put a bit more effort going out than coming back but not too much because it was still a long way to go. It became a mental battle because it was a pretty long effort, like 50 minutes. In the end I think it was quite good, I did the best I could." 10. Fabio Aru (Ita) Astana at 1:53. Etixx - Quick-Step rider Petr Vakoc, 23, showed incredible heart in the 159.3km Aviva Tour of Britain Stage 2 on Monday, going solo out of an original eight-rider breakaway inside 20km to go, with the gap to a hard chasing peloton at just 19 seconds. The peloton swept up the chasers with 12.5km remaining, and it seemed Vakoc might be doomed to be caught before the arrival in Colne. However, the Czech Road Champion never faltered, expanding the gap to 40" with 9.8km remaining. Thanks to a consistent rhythm by Vakoc ahead, he kept a 24" advantage with 4.7km left to race. Etixx - Quick-Step teammates gave Vakoc support from the peloton, moving to the front and disrupting the collaboration of the chasing field. They also stayed in good position to contest the minor places. Vakoc kept his tempo even with the uphill roads of the final kilometers. 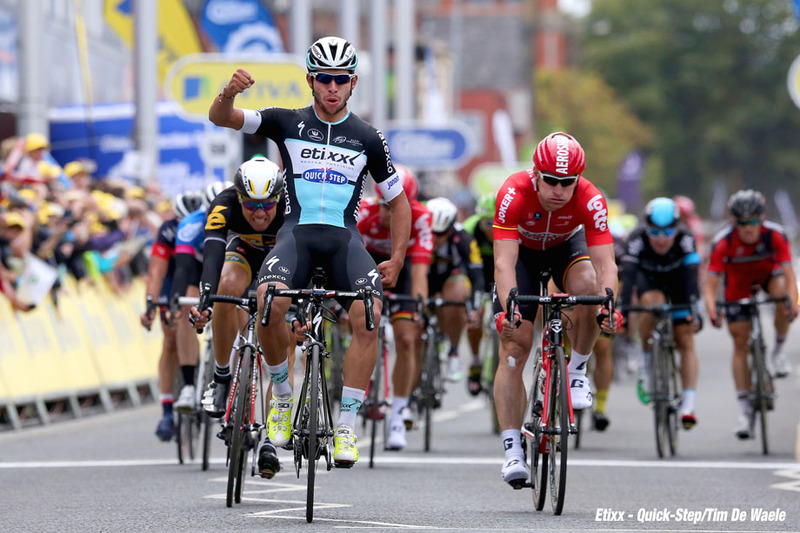 Vakoc crossed the line with a fist pump in the air, as the solo victor and new race leader of Aviva Tour of Britain. Vakoc demonstrated the same impressive strength that won him Tour de Pologne Stage 2 in 2014, which was a solo victory after attacking with 25km left to race. That win was his first as a professional. Stage winner and overall leader, Petr Vakoc (Etixx - quick-Step): "It was a really hard race, I am so happy I could finish it with a win. "I was part of an eight rider group that went away with about 50 kilometers to go. At a little more than 18 kilometers to go, it looked like we would be caught. So, I tried my chance. It was a long way to the finish. But I had really good legs, so I attacked, and stayed clear. This is a huge success for me, one of the biggest victories of my career so far. It was a long day out front alone and it's so beautiful to have this win added to my palmares. Now I am the race leader, which is a huge honor. We had the chance to meet and greet the public yesterday after the stage, thanks to TourX bus powered by our sponsors Etixx and Tacx, and I have to say I was really impressed. The British public loves cycling and showed great support to our team. So, I am very motivated with this race leader's jersey on my back. We will try our best to defend this jersey in the next days. It's still early at Tour of Britain. There are six more stages to go. It will be difficult with only six riders. But I am looking forward to it with the support of my teammates, who are riding strong. A 2nd place yesterday, and now a win today, shows we are riding well as a unit. The next few days will be flatter, so we'll see what we can do in the next days." 10. Javier Mejias Leal (Spa) Team Novo Nordisk. 10. Serge Pauwels (Bel) MTN-Qhubeka at 0:25. 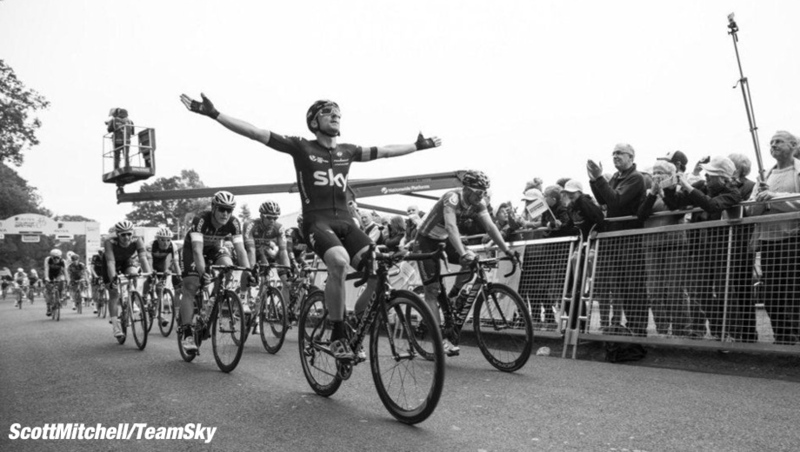 Elia Viviani (Sky) won the sprint at the end of Stage 3 of the Tour of Britain in Floors Castle. The Italian got the better of Juan José Lobato (Movistar) for his second stage win in three days. Matteo Trentin (Etixx - Quick-Step) was 3rd and Sondre Holst Enger (IAM Cycling) was 4th. Lobato moved into the overall lead as previous leader, Petr Vakoc (Etixx - Quick-Step) crashed with over 3 kilometres to go and lost 10 minutes. Edvald Boasson Hagen (MTN-Qhubeka) is now 2nd at 10 seconds. A 6-man break escaped before the 40 kilometres mark: Tyler Farrar (MTN-Qhubeka), Russell Downing (Cult Energy), Aidis Kruopis (An Post-Chainreaction), Marcin Bialoblocki (One Pro Cycling), Mathew Cronshaw (Madison Genesis) and Jonathan McEvoy (NFTO), they gained 4 minutes ahead a Etixx - Quick-Step led peloton. Bialoblocki, Farrar and Cronshaw dropped the others on Wilton Hill. With 35 kilometers to go the three had a lead of 4:20, but Cannnondale-Garmin and Lotto Soudal started to help Etixx - Quick-Step and the lead started to fall. 20 to go and they had 2 minutes, 15 and it was 1:30 and they were caught 5K out. Into the last kilometer and Lotto Soudal were in control for André Greipel, but Viviani had Ian Stannard, Peter Kennaugh and Ben Swift to place him perfectly for the sprint and his second stage win. Stage winner, Elia Viviani (Sky): "It was a long stage. We helped chase the breakaway down because it was a strong move and we felt with six riders per team it was going to be hard for just one team to control. On paper it looked like a good stage for me, but we didn't know how hard that last climb was going to be, so we controlled the pace all the way up it to make sure I was still in contact. "Ian Stannard did so much work before the rest of the guys chipped in to give me an ideal lead out. The finish suited me, and even after 216km, my legs felt good. I started my sprint with 150m to go and when I went, I knew no-one would beat me. I'm really happy with this win." Overall leader, Juanjo Lobato (Movistar): "I'm really satisfied to see my form slowly but steadily building up. Ten days ago, I didn't have the legs to even try and get myself into the sprints, and my body is now responding well, precisely when I wanted it to. It was a goal for me to get strong to the end of the season, looking towards the World Championships and I'm achieving that form. Yesterday's was a stage I had marked down on my calendar as one I could contest, and it was really awful the peloton didn't come together at the finish, but as we say in the team, sometimes you win and sometimes you learn. I felt myself a little bit more tired today, on a flatter finish; when I got to Viviani's wheel, with 400m to go, I was lacking some strength and couldn't get past him. I came here to win a stage and don't really look forward to any classifications at the moment; there are some chances for me in the upcoming days and I really hope to win some stages." Most combative rider, Tyler Farrar (MTN-Qhubeka): I wanted to give it a try today and managed to get into the break. It was a long day, but I thought for a while that we could make it. In the end we were caught. Nevertheless, winning the most combative award is a good motivation for the next coming days. Additionally, I got a hard ride into my legs, which is also good ahead of the Worlds later this month." 10. Serge Pauwels (Bel) MTN-Qhubeka at 0:20. Etixx - Quick-Step rider Fernando Gaviria showed incredible closing speed in the final meters of the 217.4km Aviva Tour of Britain Stage 4 on Wednesday, launching from behind, then passing and beating some of the best sprinters in the peloton as a stagiaire. Lotto Soudal had the ideal position heading into the sprint, moving their lead-out to the head of the peloton with 1.9km left to race. Andre Greipel (Lotto Soudal) and Edvald Boasson Hagen (MTN Qhubeka) were the first riders to jump, but there were still several hundred meters left until the finish line. The Colombian rider, Gaviria, appeared to be out of the picture at that moment. However, he pounced on the wheel of Boasson Hagen, then went full gas to the line to beat Greipel and Norwegian. Mark Cavendish was also in the mix for the sprint, and he raised his arms in celebration as he watched Gaviria cross as the stage winner. Etixx - Quick-Step has now won 49 road races in 2015, with Gaviria already contributing two of those victories in just a few races as a stagiaire. Gaviria, a track star who won the 2015 Omnium at the UCI Men's Track World Championships, showed his promise early on the road. 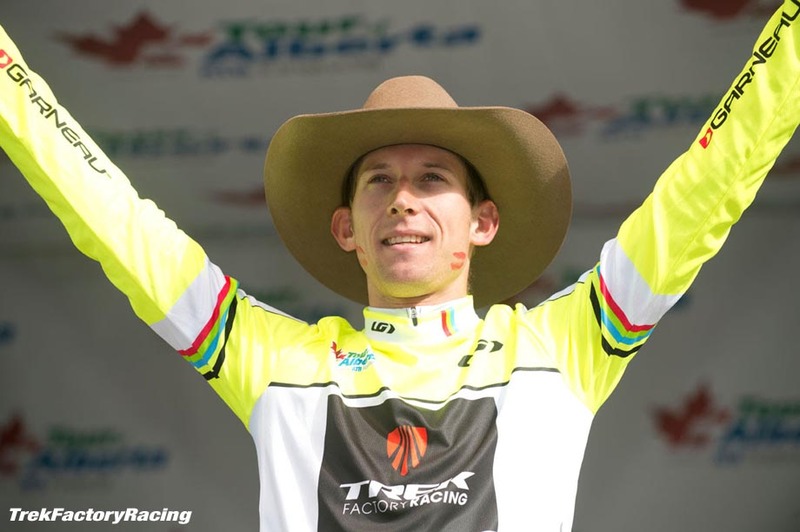 He won two stages of Tour de San Luis before reaching a contract agreement with Etixx - Quick-Step. He will be on the team beginning in the 2016 season. Matteo Trentin (Etixx - Quick-Step) was part of the original breakaway, but the breakaway was caught with 16.5km left to race. Trentin received the Combativity/Most Aggressive Rider Award for his effort in the breakaway. Stage winner, Fernando Gaviria (Etixx - Quick-Step): "Today is an important day in my career, I won the race against the best sprinters in the world. But it wasn't planned like that. My job today was to pull in the sprint for Mark. Matteo entered the breakaway, which covered us so we could save our energy for the finale. But Mark was a little bit boxed in the last corner at 400 meters to go, and he couldn't really sprint. So, I looked around me and I made the decision to go for the sprint. I did my best, and at the end I saw that I was closing in on and passing Greipel. To me, when I crossed the line as the winner, it was a huge moment. I beat one of the best sprinters in the pro peloton, a point of reference for a guy like myself. So, it's really an honor to get this victory. Tour of Britain is a great new experience. We have a nice group here. I'm learning a lot every day. In the next days we will probably have more chances as a team. We will see what we can accomplish. Today I just want to enjoy this moment, which is one of the best for me so far. I also want to give best wishes to Petr, who didn't start this morning. It was a sad moment for the team, and I am glad to show him with this victory that we will keep fighting for good results while he is recovering." 9th overall and combativity award, Matteo Trentin (Etixx - Quick-Step): "It's a little bit consolation prize for the whole day spent in front. It was a little bit tough going into the breakaway. At first it was me, Marangoni, and Wyss, and then three other guys came across. But, at the end, we needed the whole breakaway very strong to stay away. The main focus was really to win the stage, so after we came back, the team organized for the sprint. Fernando did it really well. So, even if it wasn't me who was able to go for the victory today, our plan still worked. Now we have to focus on the next days. We'll have to see how we're all feeling tomorrow after two wins, a yellow jersey, and podium places every day so far at this Tour of Britain. It won't be easy. We'll see what we can do for the GC. We'll try our best to take our chance." 3rd on the stage and 2nd overall, Edvald Boasson Hagen (MTN-Qhubeka): "The team did a really good job today. Reinie managed to get into the break, so we were not in the need to work back in the peloton. Tyler and Gerald then rode me into position and I tried hard. Gaviria and Greipel were just faster today. I am still 2nd in the overall so lets see what tomorrow brings." 10. Graham Briggs (GB) JLT Condor. An 11-lap circuit race in the downtown streets of Edmonton concluded the six-day Tour of Alberta Monday, and for the third straight day Trek Factory Racing controlled the race, pulling back an eight-man breakaway before the start of the final circuit and helped Bauke Mollema clinch the overall victory. Mollema finished safely in 12th place in the bunch sprint that concluded the 124-kilometer race to win the Tour of Alberta by six seconds over Adam Yates (Orica-GreenEDGE) and 22 seconds over Tom-Jelte Slagter (Cannondale-Garmin). When the peloton rounded the final corner Mollema was second wheel, making certain the win would not be lost in the final meters with the 10-second time bonus on offer. But the sprinters ruled the fast dash to the line, allowing Mollema to safely slip backwards knowing the overall victory was sealed. Nikias Arndt (Giant-Alpecin) sprinted to the stage win, relegating Michael Matthews (Orica-GreenEDGE) and Dion Smith (Hincapie Racing) to second and third places respectively. Mollema: “I really have to thank everybody from the team for all their hard work, I think the last three days we have been pulling the entire stage more or less, so that was really hard for the boys and this makes it even nicer when you take the win home. Final stage winner, Nikias Arndt (Giant-Alpecin): "It is a relief. I wanted to get a victory so bad, but it didn't work for a long time. So it’s nice to have this one in the pocket. As a team we really deserve this win, certainly after my really close second place on stage two. It was a hard week and a pretty hard stage so it is great to see that I'm able to win after big efforts. It was cold, wet and hard. We had a great team, we motivated each other and today we won together. There were a large crowds along the road so it was nice to race here. The sprint went even better than our plan. We did an awesome lead out and I could wait till 180m to go. The guys did a perfect job and I enjoyed getting such a fantastic lead out. I am really thankful to the team, they really did great during the whole stage." 10. Mike Woods (Can) Optum p/b Kelly Benefit Strategies at 1:25. 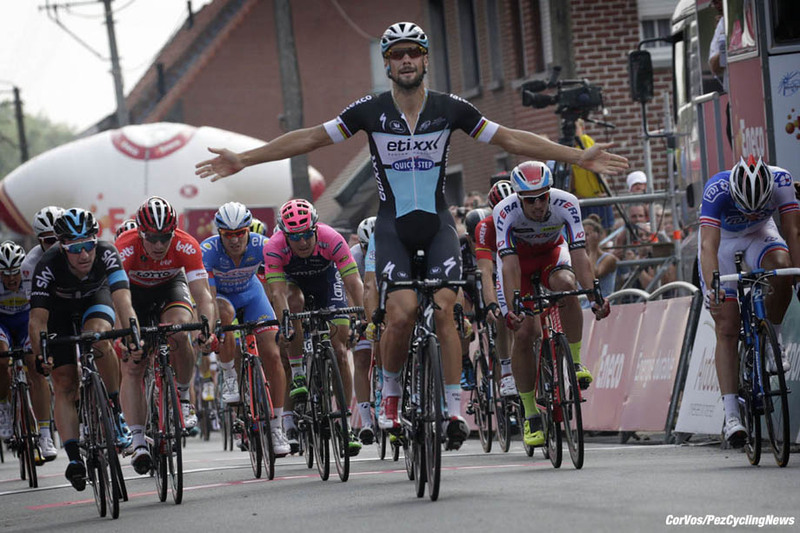 Etixx - Quick-Step has reached an agreement with Tom Boonen to extend his contract for another season. 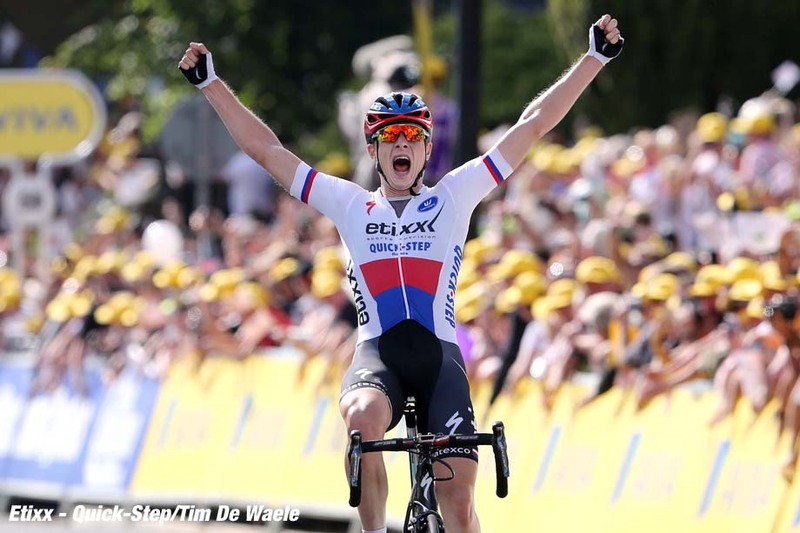 The Belgian rider, who is about to complete his 13th season with the team, collecting more than 100 victories over the years, will ride with the Etixx - Quick-Step jersey on his back until the end of the 2016 season. "Tom Boonen is the only rider that stayed with us since the team's inception in 2003," CEO Patrick Lefevere said. "We had great moments together. Our paths of success are connected, including his UCI World Road Championship victory in 2005, record breaking success at Tour of Qatar, six Tour de France stage wins, and his legendary Spring Classics palmares, including tying the Paris-Roubaix win record with four (2005, 2008, 2009, 2012). We talked with him lately about how he sees his future. Tom explained to us his expectations and goals for next season. We respect his objectives, and considering his palmares and his contributions to the sport, we think it was the right thing to do, to proceed together in pursuit of Tom's last goals he'd like to achieve as a rider in cycling. He is an example of professionalism. This is an important factor for next year, as the team will change a lot with plenty of new, young guys on the team. His presence is also valuable to help us in developing a new generation of riders." 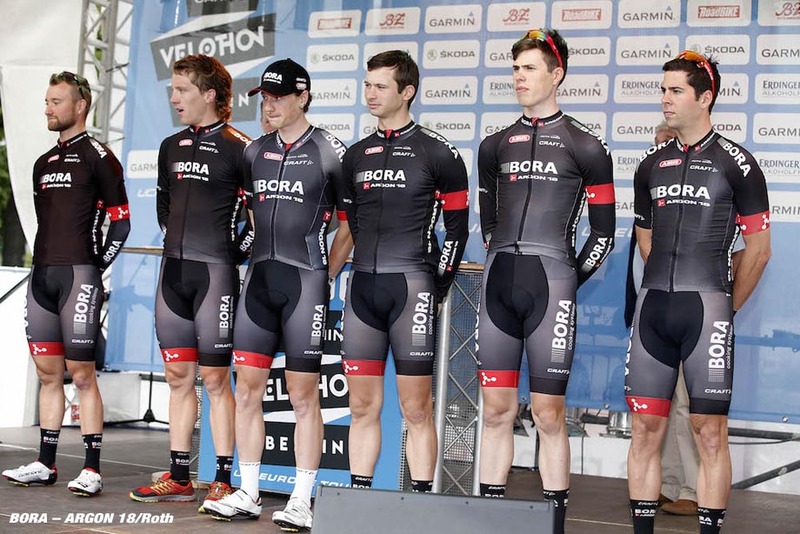 With Shane Archbold (26, NZL), Ralf Matzka (26, GER), Christoph Pfingsten (27, GER) and Michael Schwarzmann (24, GER), three key riders of the BORA – ARGON 18 sprint train extended their contracts. All four riders established themselves during the season as important lead-outs for the sprinters of the team led by Sam Bennett and Phil Bauhaus. In addition to their role as lead-outs all four riders were able to score own results as well. Shane Archbold was 2nd in the Classica Corsica and 3rd in a stage of the Three Days of De Panne. Matzka impressed recently at Schaal Sels, when he finished the course that contained numerous cobbled sectors and dirt roads in 6th place. Pfingsten was 10th at the Scheldeprijs and Schwarzmann finished the final two stages of the Ster ZLM Toer in the Top5. "We built a sprint train for the first time this season, we tested various set-ups during the races. Shane, Ralf, Christoph and Michael convinced us completely and they fulfilled loyally their tasks to 100%. Besides their own speed, a tactical sense and a certain authority are required in the hectic sprint finishes. The four have these qualities and I am delighted that we are continuing our work", Team Manager Ralph Denk comments the contract extensions. Etixx - Quick-Step has reached a one-year contract extension agreement with Guillaume Van Keirsbulck. The Belgian rider has been with the team since 2010, with his best year in 2014. He earned three victories including a stage of Driedaagse van West-Vlaanderen, an overall victory at Driedaagse de Panne - Koksijde, and a win in the 7th stage of Eneco Tour. Van Keirsbulck's 2015 season was adversely affected by health complications, which required surgery. "I'm really happy about the renewal of my contract," Van Keirsbulck said. "It was a hard period in June with two surgeries in a row, one for a hernia in my back and one for my stomach. The team was always around me and they gave me all the support necessary to rehab well and come back. I am working a lot in rehabilitation. I've recently been able to ride my bike for two or two and a half hours. Everything is going as planned. It would be nice to have the possibility to still ride this year, maybe at the end of September or early October. We will see what is possible. But the most important thing is that my physical problems are behind me. I have the trust of the team, and I can't wait to be ready for next season." "It was a difficult year for Guillaume," CEO Patrick Lefevere said. "He started with a good part of the season, but then he had back problems, which affected the second part of the year. He underwent surgery in agreement with the team medical staff. This surgery was necessary to avoid future problems. We know Guillaume is working hard now to come back. We really hope that next year can be the first time we see the true value of Guillaume, without any physical problems." Ten days ago, Lotto Soudal rider Kris Boeckmans had a very bad crash in stage 8 of the Vuelta. The diagnosis was severe: facial trauma with several fractures, a concussion, three broken ribs, pneumothorax, laceration of the lung, bleeding of the lung and swollen pulmonary tissue. The rider is still in intensive care at the Murcia hospital. His closest family and a team doctor of Lotto Soudal is permanently there to support him and follow up the medical communication. 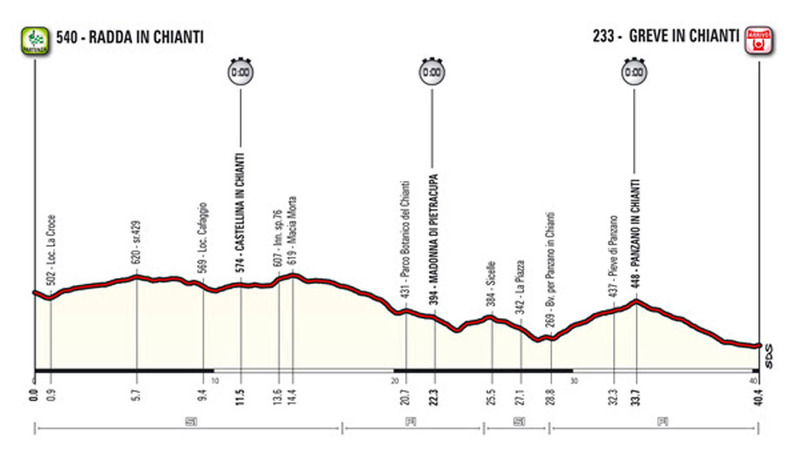 The Individual Time Trial stage will be held on Sunday 15 May from Radda in Chianti to Greve in Chianti. It’s 40.4km, through the amazing Tuscan landscape that produces one of the world's most famous and appreciated wines. It will be a stunning time trial without a single flat section; instead it features continuous climbs and descents in between the fantastic hills in the lands of Chianti. The Individual Time Trial on Sunday 15 May will be stage 9 of the 2016 Giro d’Italia – organized by RCS Sport / La Gazzetta dello Sport and running from 6 to 29 May 2016. The “Chianti Classico Stage”, starting from Radda and finishing in Greve – both in Chianti – was presented today at the Pinarello Store in London, with Fausto Pinarello, chairman of the bike company and Giro sponsor for many years, as host. It’s going to be one of the key stages of Giro 2016, highly likely to be decisive to select the shortlist of potential winners of the Maglia Rosa just before half-distance in the race. The main characteristic of the course is the absence of flat sections, with a continuous series of ups and downs among the Gallo Nero – the Black Rooster – vineyards. The riders, who will each be on the course for around 50 minutes, will have to face climbs, some of them pretty steep, and descents in which they will have to push on the pedals, in particular during the final part of the stage. The start line will be in Radda, touching some of the key locations of the Chianti Classico Wine Consortium such as Castellina in Chianti (where the course will pass very close to the medieval village centre and there will be an intermediate time), Madonna di Pietracupa, Sicelle, Panzano in Chianti to end in Greve, with the finish line positioned in Piazza Matteotti, an unusual triangular plaza. Thanks to the support of the Chianti Classico Wine Consortium DOCG, born in 1716, the stage will cross the Italian provinces of Florence and Siena. The Chianti Classico land is made up from the villages of: Castellina in Chianti, Gaiole in Chianti, Greve in Chianti and Radda in Chianti (each in their entirety) and part of the villages of Barberino Val d’Elsa, Castelnuovo Berardenga, Poggibonsi, San Casciano Val di Pesa and Tavarnelle Val di Pesa. 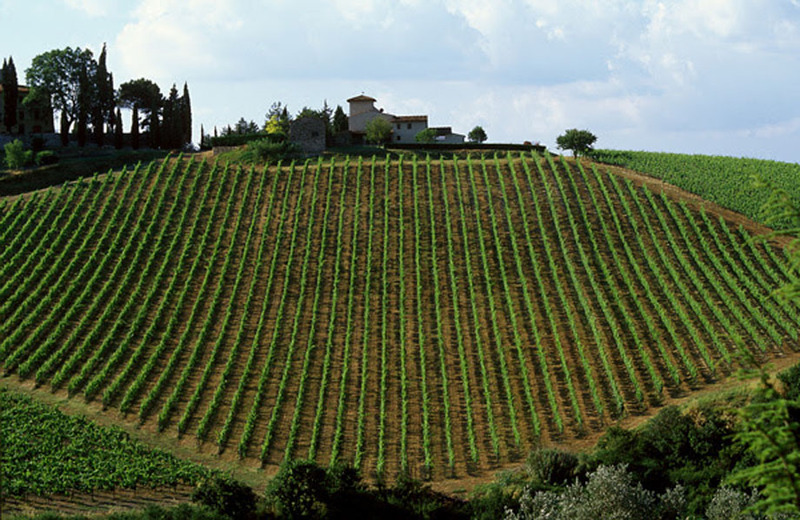 The Chianti Classico is one of the most appreciated wines worldwide and it’s exported in more than 60 countries. Its countries of highest distribution include: Italy (18%), USA (31%), Germany (12%) Canada (10%) and United Kingdom (5%). The annual production is 35 million of bottles. The brand that has marked the bottles of Chianti Classico since its origins is the Black Rooster, the historic symbol of the ancient Chianti Military League.